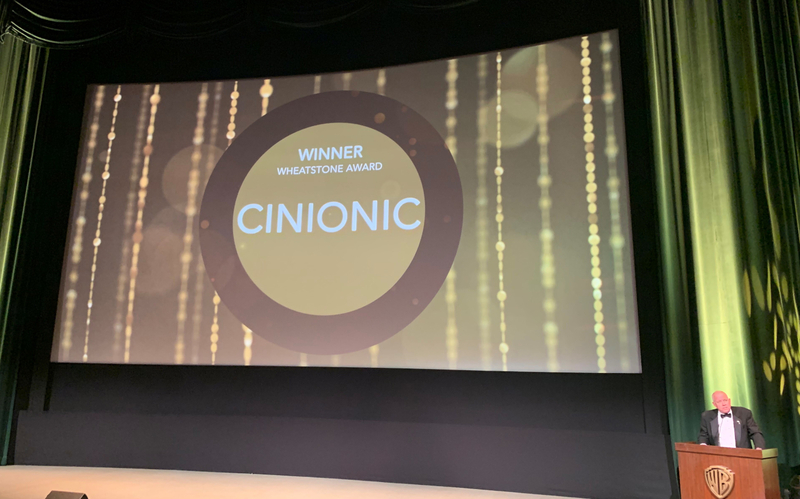 Hollywood (February 2, 2019) – Last Wednesday, Cinionic was named “Innovator of the Year” by the Advanced Imaging Society (AIS) during its 10th Annual Lumiere Awards at the Steven J. Ross Theater on the Warner Bros. studio lot. The event recognizes outstanding international achievement in the creation of immersive storytelling using advanced visual technologies. Cinionic proudly joins past creative and technical recipients including Jon Favreau, James Cameron, Darla Anderson, Martin Scorsese, Ang Lee, Victoria Alonso, Jeffrey Katzenberg, and many others.